You are here: Home General Tips Don’t Buy an RV! 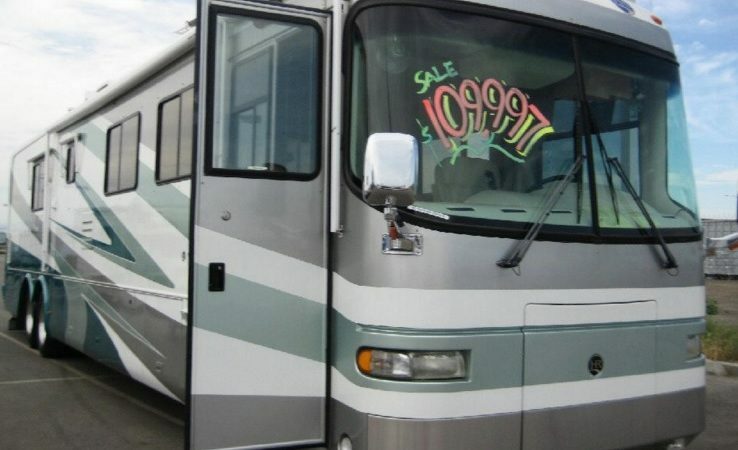 Lawyer Says, Don’t Buy an RV! Why you shouldn’t buy an RV – or what you should know before you do. Recreation Vehicles are very different from cars when it comes to how the law protects you. Okay, we know you are still going to buy an RV. Even Mr. Lehto knows you are. But, hopefully, you will be smarter about it now. Here are links to articles with more information to help get you prepared for negotiating the best deal possible. 2 Responses to "Don’t Buy an RV!" Great post! I don’t own an RV yet. I kinda figured something like this was the case. It’s pretty obvious with a little digging into the industry. It seems like a “scratch my back, scratch your back” type deal among the various vehicle and component manufacturers. As well as other fields within the industry tied to a certain common organization. The obviousness (to me), is in the fact that various vehicle brands (with different parent companies), have the same floor plans, the same color schemes, etc. Very little originality to set themselves apart. The same seemingly “hazard fraught” components and designs. Even the financing and insurance companies are suspect to me. But I get it, You take a new class C unit; You’re basically getting a new pick-up with a fully equipped hotel room on the back. Figure the cost of all the equipment and goodies, I feel you’re still getting a reasonable value. The Magnuson-Moss Warranty Act is a federal law that provides protection to buyers of products that cost $25 or more and come with a written warranty. This law applies to any product you buy that does not perform as it should, including mobile homes and travel trailers. The Magnuson-Moss statute gives consumers considerable rights in dealing with manufacturers of lemon recreational vehicles by guaranteeing minimum repair performance requirements and also by providing for disclosure of warranties before purchase. One of the Act’s purposes is to ensure repairs are performed within a reasonable period of time. If a product is covered by a written warranty, and any part of the product (or the product itself) is defective and cannot be fixed after a reasonable opportunity, the warrantor must permit the buyer either a refund or replacement or provide the buyer with monetary damages as compensation for the warrantor’s failure to perform.